A perfect solution for applications where a power outlet can not be present, the Injector Adapters can be used to power PoE bluetooth devices like ip cameras or wireless access points (WAPs). The compact, wall-mountable design makes it easy to install the adapters in areas where the space is limited, and can be installed in seconds with no configuration required. 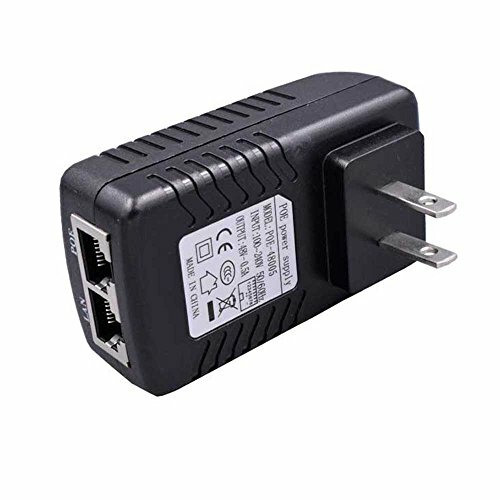 -This PoE injector is a simple and convenient power supply equipment for PoE or Non PoE devices via only an Ethernet cable, which will save your trouble about power line cabling and save cost. -Applications: Non PoE Device such as IP Camera/Phone, Wireless Access Point, Security Camera Systems, Routers, modems, switches, embedded computers or other network devices. If you have any questions about this product by Escam, contact us by completing and submitting the form below. If you are looking for a specif part number, please include it with your message.